Using the patented split fin technology, the Talaria deliver more forward-going thrust than a conventional fin in terms of power to thrust ratio. This means less drag and energy expended for the same swimming speed. Like a pair of underwater wings, Talaria gives the diver unrivalled freedom of movement underwater, especially when turning or changing direction. 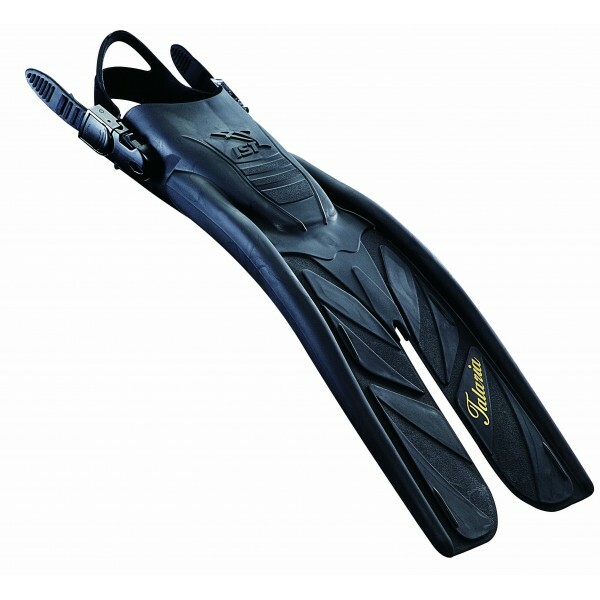 The fin is made from a specially formulated thermal plastic rubber, which is then fine-tuned to give an excellent balance between flexibility and rigidity. Roomy foot pocket which can easily accommodate dry suit boots.